If you have watched the news for the past 4 years, if you are involved with your local and state communities, or if you are involved in counseling, you know of the opiate epidemic. My experience as a mental health and substance abuse counselor is that many people know some things but few know most of what has been happening. The news is getting this opiate crisis only partially reported, mostly because there is so much happening. 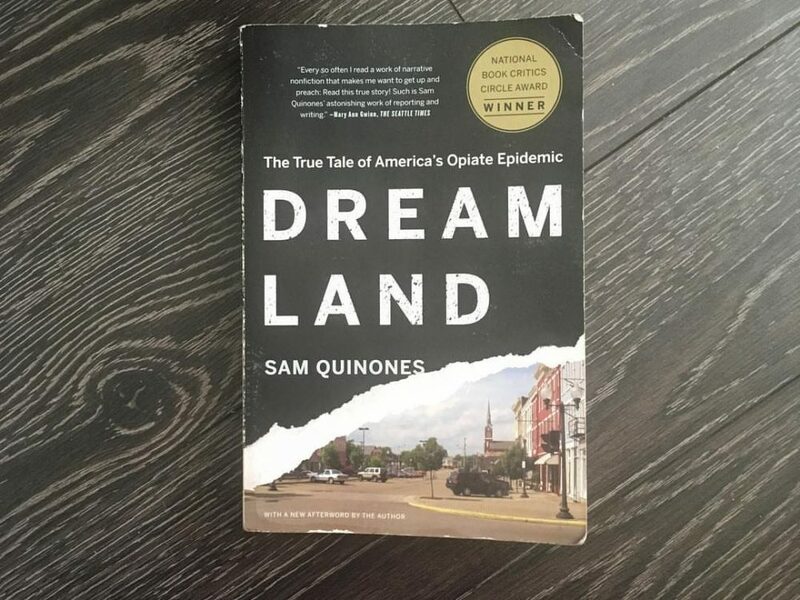 Dreamland, authored by Sam Quinones, touches on all that has been happening since the late 20th century. I’ll be honest, I’m impressed with how comprehensive this book is. I’ve worked as a licensed professional counselor in both Colorado and Ohio for the last five years, the two states mentioned most in the book. I’ve even helped start a residential inpatient treatment center for opiate specific substance use disorders. The book actually taught me so much about how this epidemic came to be. The book will not tell you exactly how to treat addiction, but it knows what could be used and what hasn’t worked. It won’t tell you where opiate abuse is happening in your community, but it will tell you the signs to look for and broaden your awareness from what you would assume is a stereotypical junkie. It also is not comprehensive, not talking about China’s involvement or how the Vietnam War directly impacted, but we can see why it exploded recently. I don’t think it needs to do so either as it isn’t looking into everything, simply how we went from opiates being a mild concern to the number one threat to people in America. If you have any investment in your community, I charge you to take time to read this. Not so that you can gain some knowledge and sermon illustrations. I want you to simply open your mind and your heart to what could be happening in your community. Allow yourself to develop empathy to the tragedy that is the culture of addiction. And let it sway you to consider a change. The storytelling goes from the side of how Black Tar Heroin and prescription pills hit the United States to how people were discovering and fighting against opiates. We give it a 5 out of 5 and highly encourage you to check it out now. Would you like a free audiobook of Dreamland? Are you an Audible user? Leave a comment down below letting us know you want it and the first ten will get a copy. Do note we are using OneBook’s free service and if you have already collected a free audiobook from anyone, you will not be able to collect another for free.